On Sunday, I planned to go to nearby Monteagle, TN, to check out an arts and crafts fair. I woke that morning, got busy with other things and decided not to go. After all, what was the point? My budget doesn’t have shopping money in it right now; so, why make the 60-some mile drive over there? I decided just to stay home and read the Elvis Cole mysteries I’d checked out of the library on Saturday. As the morning wore on, I kept thinking about the festival and how I’d looked forward to going. I finally kicked myself in the rear and got moving. There was no point in my going, but I went anyway. The festival was a bust. It was very small and featured a lot of handmade soaps, wind chimes that were more like scrapbooks, and jewelry…lots of jewelry. Even the homemade peach ice cream (my favorite) wasn’t all that great. I was disappointed; so, I left and went to a flea market down the road. Another bust. Rats. My trip seemed more pointless than ever. I was disgruntled and ready to go home. Instead, I went to Sewanee and I discovered the point – joy. 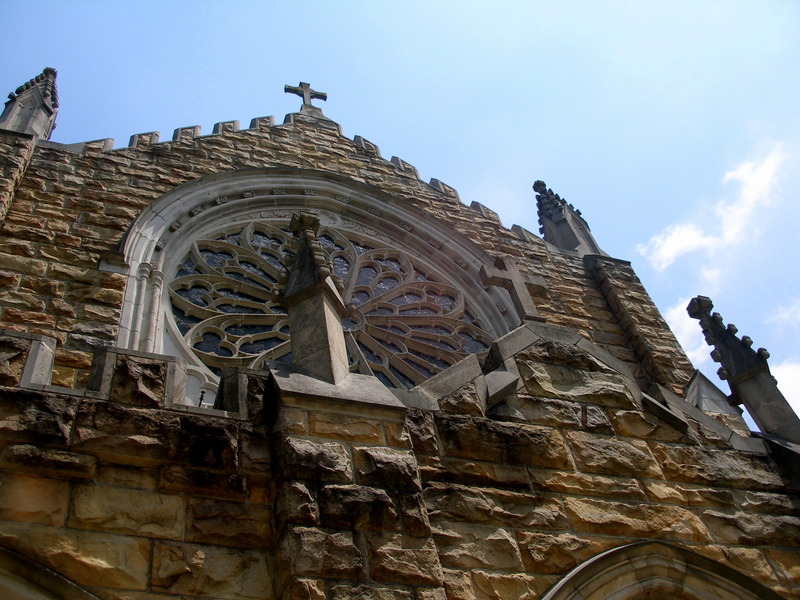 Sewanee, TN, is home of Sewanee, The University of the South. I drove around and fell completely in love. As you may or may not know, I enjoy taking photographs – mostly architectural or close nature photos. I love the detail of stone or woodwork, the play of light on bark and leaves, and the contrast of shadows anywhere the light plays. Sewanee is a delight. The stone buildings and careful landscaping will provide me with plenty to shoot and enjoy on another trip to the town. A trip I am already planning. My heart and spirit were both much lighter on the drive home. It made me think of my flower bed in New Orleans. I had this flower bed in front of the duplex where I lived there. My aunts Judy and Barbara had started it for me when I first moved to the city. I took it over, though, and it became my own. It had sort of a cottage garden feel – balanced, but hardly symmetrical. Full of zinnias, summer snapdragons, dahlias, petunias, sweet William and more, it was like a riot of wild flowers that all happened to be blooming at the same place at the same time. I weeded and watered it every morning and every afternoon. I fussed over it, met my neighbors over it, and took great joy in putting the little plants into the soil to watch them flourish. Then Katrina came and there was nothing left of my beautiful flowers. I haven’t seriously tried to garden since. After all, what’s the point? I put all that work and effort into my little garden and, in an instant, it was all gone. Why go to all the trouble? Because it was beautiful and I derived joy from it. That was the point and that was enough. The point to the heathy, clean eating is I worked 6 hrs yesterday and 10 hours today and am tired but not exhausted!! YAY!! Have more work t’row but will be ready since I will fuel the body! !